The QL800 offers two colour printing. Print in both black and red using DK22251 tapes - ideal for highlighting important information on a label. Create standout, cost-effective paper labels for packages, envelopes, file folders, name badges, food packaging and more. 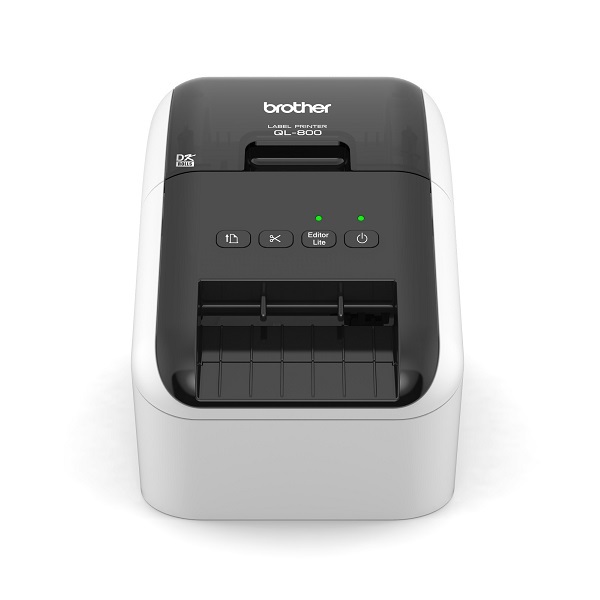 Quickly print labels from your PC or Mac with this high-speed label printer. 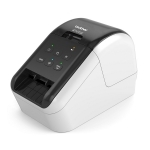 Thanks to the integrated P-touch Editor Lite label design software it is so easy to use - simply connect to your computer, click the icon to launch the software and design and print your labels. 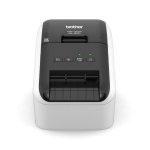 Or use the advanced P-touch Editor label design software to include barcodes, images, and other advanced functions. 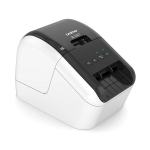 No need for ink or toner - it's the perfect choice for office workers who need a reliable and fast address label printer. The integrated cutter allows custom sized labels up to one meter in length when using one of the continuous label rolls. • Print Speed: Max. 148 mm / sec. or 93 standard address labels / min.